Electronic banking is an umbrella term for the process by which a customer may perform banking transactions electronically without visiting a brick-and-mortar institution. The following terms all refer to one form or another of electronic banking: personal computer (PC) banking, Internet banking, virtual banking, online banking, home banking, remote electronic banking, and phone banking. PC banking and Internet or online banking are the most frequently used designations. It should be noted, however, that the terms used to describe the various types of electronic banking are often used interchangeably. Is a service offered by banks that allows account holders to access their account data via the Internet. In order to take advantage of online banking, an account holder would need to meet several technological requirements, such as having a personal computer with Internet access and web browser. If those conditions are satisfied, online banking can be performed from anywhere in the world. To minimize the risk of fraud, online banking is enabled through a secure server, which grants the individual a private access to his or her bank account. Online banking is designed to streamline banking chores that otherwise require considerable time and effort. Thus, online banking facilitates direct access to account details, enables transfer of funds, allows for multiple bills payments, and performs an array other transactions. Online banking is available twenty four hours, seven days a week, regardless of the bank’s working hours. Today, most banks offer online banking services. E-banking is poised to fill the void. In today’s competitive world economy there are few opportunities to make a big difference and many opportunities to make a little difference. Banks land other financial organizations can easily strive to seize all these opportunities. In the modern age the whole world has become as a global village and people are getting closure day by day through information and communication technologies based on digital system. So, modern age is also termed as digital age. E-banking mainly depends on computer and different types of information technologies. Now day’s different types of e-banking operations have been introduced. Transactional websites provide customers with the ability to conduct transactions through the financial institution’s website by initiating banking transactions or buying products and services. Banking transactions can range from something as basic as a retail account balance inquiry to a large business-to- business funds transfer. E-banking services, like those delivered through other delivery channels, are typically classified based on the type of customer they support. The following table lists some of the common retail and wholesale e-banking services offered by financial institutions. These components work together to deliver e-banking services. Each component represents a control point to consider. Through a combination of internal and outsourced solutions, management has many alternatives when determining the overall system configuration for the various components of an e-banking system. However, for the sake of simplicity, this booklet presents only two basic variations. First, one or more technology service providers can host the e-banking application and numerous network components as illustrated in the following diagram. In this configuration, the institution’s service provider hosts the institution’s website, internet banking server, firewall, and intrusion detection system. While the institution does not have to manage the daily administration of these component systems, its management and board remain responsible for the content, performance, and security of the e-banking system. The terms ‘PC banking’, ‘online banking’, ‘Internet banking’, ‘Telephone banking’ or’ mobile banking’ refer to a number of ways in which customers can access their banks without having to be physically present at the bank branch. E-banking may be understood as term that covers all these ways of banking business electronically. The increasing awareness of the importance of literacy of computer has resulted in increasing use of personal computers through the entire world. Furthermore, incredible Plummet of cost of microprocessor has accelerated the use of computer. The term ‘PC banking’ is used for banking business transacted from a customer’s PC. Using the PC banking or home banking now customers can use their personal computers at home or at their office to access their accounts for transactions by subscribing to and dialing into the banks’ Intranet proprietary software system using password. Internet banking would free both bankers and customers of the need for proprietary Software to carry on with their online banking transactions. Customer behavior is changing rapidly. Now the financial service is characterized by individuality, independence of time and place and flexibility. These facts represent huge Challenges for the financial service providers. So the Internet is now considered to be a ‘Strategic weapon’ for them to satisfy the ever-changing customers’ demand and Innovative business needs. Adequate legal framework and maximum security are the two essential factors for Internet banking. The comprehensive security infrastructure includes layers of security from the network to the browser, including sophisticated encryption that protects customers’ from intrusion when they access the bank over the public network. Blurred. Due to the new transmission technologies such as WAP (Wireless Application Protocol), portable terminal like mobile phones, personal digital assistant (PDA) or small hand-held PCs are providing bank customers with access to the Internet and thus paving the way to Internet banking. It assures immense flexibility and makes the financial services independent of time and place. However, the use of mobile banking is still in a nascent state. The slower transmission speed of the WAP standard and the limited amount of information available are just two of the factors inhibiting the use of those terminals. 1. Any branch banking/ anywhere banking. 3. Electronic fund transfer system. 4. Card-Debit/ ATM card and credit card. 3. Bank of Small Industries and Commerce Bangladesh Ltd.
1. The Oriental bank ltd.
2. First security bank ltd.
3. Social investment bank ltd.
5. The Standard Bank Ltd. These banks are termed as classical because this Bangladeshi banks still now mainly follows the manual procedure for securing the valuable information and assets of customers. Except Agrani bank and Janata bank these banks are still in infant level automation. Both of these two banks has launched ATM card sharing with other banks and EFTS like Ready cash, Q-Cash other than these two facilities, these banks has no other E-Banking facilities like Online banking, Home banking, Internet Banking. All the NCBs in Bangladesh use the software named as Bexibank. Besides this they also use two most widely used software named PC bank and NIKASH developed by the Bangladesh Bank. These classical banks have no centralized database system. As a result they always lack the required effective coordination among different units, required information to make right decision at right time, incurs high overhead costs. The branches of these classical banks are not connected through LAN or WAN or MAN. The proper coordination and harmonization between branches and head office of these banks are very much weak. They cannot take proper decision at proper time and manage their loans and deposit portfolio achieved client satisfaction. Services provided by these banks in the classical stage are outdated and lacks the competitiveness. • Huge Number of branches all over the Bangladesh even outside the country and for the purpose of automation huge investment is necessary. • Most of the branches are in the rural areas where there are no modern digital communication facilities. • Most of the users or clients of the banks are poor and uneducated village people having no knowledge about electronic banking and cannot afford it at the current cost level. • Most of the officials of these banks in the classical stage especially the state owned ones are aggie and cannot understand and are reluctant to accept modern electronic banking. To turn around these banks at first the outdated mentality of these officials of the classical banks. • Process handling becomes faster. It includes day end process, month end process, monthly/yearly interest calculation; fixed deposit receipt process, scheme process and loan process etc. • In traditional system, to accomplish audit, government officials need to go to every bank. After IT implementation they do not need to go to banks rather they can collect the same information through network and audit report can be generated within few minutes. • In traditional system it is time dependent to transfer money from city to remote area and also a matter of some investment. During the transfer time the money is idle so it’s a great loss for the bank as well as customers. Electronic system can be used to transfer money within a few seconds (Intra-bank). • Trying to launch or at least have planned to initiate online banking Tele banking etc in near future. • Initiating modern banking concepts like one-stop services, serving the underserved market, and continuously updating their service and product portfolio. • Providing quick transfer of remittances with the help of international money transfer unions like Western Union, Express Money and Money Gram. Following are some of those commercial banks, which fall with in modern banks category in our country, which provide ATM services on shared basis and planning to provide online banking and any branch banking. The Mutual Trust Bank Ltd.
IFIC bank ltd. Mercantile bank ltd. Pubali bank ltd. AB bank ltd Agrani bank is providing electronic fund transfer services on shared basis in the name of Q-cash. Mutual trust bank, Prime Bank ltd. The Premier bank ltd. is currently providing individually debit card facilities under the brand name of VISA. Besides the City bank ltd. is providing another debit card which offers dual currencies withdrawal facilities. But the card processing period of these banks is relatively lengthy than that of Standard Chard Bank. At present Mutual Trust bank ltd. State Bank of India, Habib Bank Ltd. National Bank of Pakistan are offering any branch banking to all their clients. Mercantile Bank Ltd. IFIC bank ltd. NCC bank ltd. Offer any branch banking services to only a selected group of clients who are ready to pay an amount of extra annual fee for the usage of these service. National Bank ltd. United Commercial bank ltd. Southeast bank ltd. Prime bank ltd. are hoping and arranging to provide any branch banking services. All the modern banks uses two common software developed by Bangladesh bank named NIKASH for check clearing purposes and PC bank for maintaining the ledger of clients. Besides Dhaka Bank ltd. and Eastern bank ltd. uses FLEXCUBE, Mercantile bank ltd. and Mutual Trust Bank ltd. uses FLORA Bank, the City bank ltd. and Arab Bangladesh Bank ltd. uses FINACLE. Two fundamental aspects of electronic banking are the nature of the delivery channel through which activities are performed, and the means for customers to gain access to those channels. Commonly delivery channels include ‘closed’ and ‘open’ networks. ‘Closed networks’ have no such membership requirements. Currently, widely used access devices through which e-banking products and services can be provided to customers include point of sale terminals, automatic teller machines, telephones, PCs. Here we divide the electronic banks in to two categories. 6. Islami Bank Bangladesh Ltd.
4. Commercial Bank of Ceylon Ltd.
With business processes becoming increasingly digitized, business models, and, with them, the risk structure of credit institutions, are changing. The following characteristics of E-banking are therefore at the center of banking supervisors ’interest. Owing to the virtual nature of electronic commerce, the transaction of banking business is no longer confined to national borders. Much the same applies to the relationship between bank products and non-bank products. That means supervisors will need to cooperate even more closely with foreign supervisory authorities than in the past. The secure and efficient deployment of ICT will become a crucial strategic factor in the success of electronic banking. Every stage in the value-added chain, from development through production to the marketing of financial products, is dependent on IT. Most importantly, this dependency, coupled with the innovative momentum of the Internet, will increase the strategic and operational risk faced by banks. With I-Banking one can view complete Credit Card details. One can view Credit Card statement, determine the minimum amount due, request for a credit limit increase and even make an online card payment. Several factors have conspired to induce this effect. The greater ease with which prices and products can be compared has enhanced market transparency; the market entry barriers for new competitors have been lowered; the spatial and temporal constraints on competition have been removed; Internet or online banking customers display little brand loyalty; and e-banking customers are focusing ever more on costs and profit margins. The establishment of an effective payment system through the central bank allows government to function effectively in its role as a purchaser in e-commerce as well as in its more traditional role of provider of government services. For example, in Australia an initiative completed at the end of 2000 allows “electronic arrangements,” which enable up to 90 per cent of agencies’ procurement needs to be conducted and settled electronically with suppliers. The Reserve Bank of Australia’s development of the Government Direct Entry System made electronic payments, including welfare payments, on behalf of Government agencies easier, cheaper and quicker by establishing a network of communication links with major Government agencies and larger financial institutions, with a desktop banking facility for smaller financial institutions and smaller agencies. • E-banking provides many convenient and time saving tools such as: online bill paying, automatic bill pay, online account view, online check view, online statements, and many more. In view of this ever increasing role of credit cards a Working Group was set up for regulatory mechanism for cards. The terms of reference of the Working Group were fairly broad and the Group was to look into the type of regulatory measures that are to be introduced for plastic cards (credit, debit and smart cards) for encouraging their growth in a safe, secure and efficient manner, as also to take care of the best customer practices and grievances redressed mechanism for the card users. c) Code of Conduct. . The most important terms & conditions should be highlighted and advertised and sent separately to the prospective customer. These terms and conditions include various issues relating to: a) fees and charges, (b) drawl limits, (c) billing, (d) default, (e) termination / revocation of card membership, (f) loss / theft / misuse of card, and (g) disclosure. In view of its backward and forward linkages with other sectors of the economy, housing finance in developing countries is seen as a social good. In Bangladesh, growth of housing finance segment has accelerated in recent years. Several supporting policy measures (like tax benefits) and the supervisory incentives instituted had played a major role in this market. Housing credit has increased substantially over last few years, but from a very low base. During the period 1995-2005, outstanding housing loans by scheduled commercial banks and housing finance companies grew at a trend rate of 15 per cent. The share of housing loans in total non-food credit of scheduled commercial banks has increased from about 2 per cent in 2001-02 to about 5 per cent in 2004-05. In addition, housing credit is also being provided by housing finance companies, which in turn are also receiving some bank finance. Thus, from miniscule amounts, the exposure of the banking sector to housing loans has gone up. Unlike many other countries, asset impairment on account of housing finance constitutes a very small portion’. However, with growing competition in the housing finance market, there has been a growing concern over its likely impact on the asset quality. While no immediate financial stability concerns exist, there is a need to put in place appropriate risk management systems, strengthen internal control procedures and also improve regulatory oversight in this area. Banks also need to monitor their exposure and the credit quality. In a fiercely competitive market, there may be some temptation to slacken the loan scrutiny procedures and these needs to be severely checked. Having delineated the broad contours of retail banking in Bangladesh let me now come to its opportunities and challenges. • Illiteracy is a great problem in consideration of E-Banking activities execution. 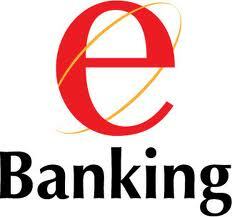 Electronic banking is relatively new concept in Bangladesh. Formerly only the foreign banks operating in Bangladesh like Standard Chartered Bank, HSBC, etc provided it. These foreign banks managed to gain competitive advantage with the introduction of electronic banking for the first time in Bangladesh. As result the local commercial banks started to loose their market to these foreign commercial banks. So they reacted very quickly. First time it was combined, now some of the banks are offering Electronic-banking services even solely. Eastern Bank Ltd. is the leading local commercial banks in Bangladesh to offer world-class electronic banking services. In terms of adoption of E-Banking we can divide our banking sector in to three basic categories. Not all clients of the banking industry have account in foreign banks. As a result everybody has no access to e-banking. E-banking mainly depends on computer and different types of information technologies. Now day’s different types of e-banking operations have been introduced. Transactional websites provide customers with the ability to conduct transactions through the financial institution’s website by initiating banking transactions or buying products and services. Banking transactions can range from something as basic as a retail account balance inquiry to a large business-to- business funds transfer. E-banking services, like those delivered through other delivery channels, are typically classified based on the type of customer they support. Most of the people in Bangladesh are living rural areas and are out of reach of the e-banking. E-banking facilities have brought the world on our hands. Now a day, a person can get banking facilities sitting his own office or residence or anywhere else. Transfers of money, export and import businesses, selling and purchasing – all are possible within a very short time without any moving. Though there are some obstacles in the way of E-Banking, such as hackers, it is very popular all over the world wherever technological development has got maturity. In our country, all private commercial banks including our Central Bank or Bangladesh Bank and all nationalized banks are in the way of E-Banking. Its my hope, one day – not so far, all customers of all banks can-be able to get banking facilities with the help of only mouse clicking from anywhere or any part of the world.